Home / Uncategorized / What are the predictions for antimicrobial resistance? 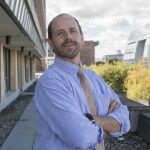 What are the predictions for antimicrobial resistance? 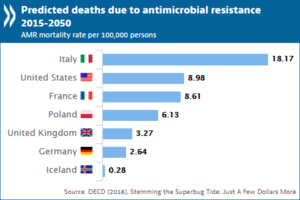 The OECD has resources related to antimicrobial resistance (AMR). 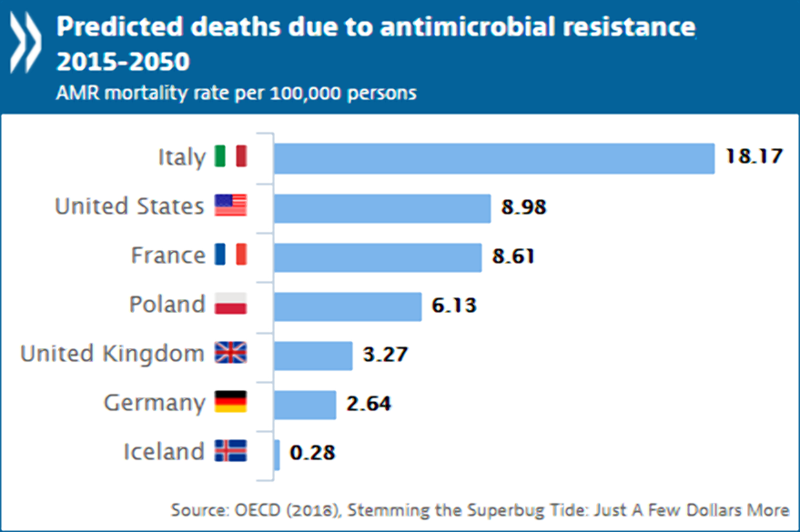 A summary can be read in the article Stopping antimicrobial resistance would cost just USD 2 per person a year (7/11/18), which included the chart copied here. The article is rich with quantitative information. While resistance proportions for eight high-priority antibiotic-bacterium combinations increased from 14% in 2005 to 17% in 2015 across OECD countries, there were pronounced differences between countries. The average resistance proportions in Turkey, Korea and Greece (about 35%) were seven times higher than in Iceland, Netherlands and Norway, the countries with the lowest proportions (about 5%). Resistance is already high and projected to grow even more rapidly in low and middle-income countries. In Brazil, Indonesia and Russia, for example, between 40% and 60% of infections are already resistant, compared to an average of 17% in OECD countries. In these countries, growth of AMR rates is forecast to be 4 to 7 times higher than in OECD countries between now and 2050. The full report is available: Stemming the Superbug Tide Just A Few Dollars More. Two other pages have graphs. The Nov 11 post under the same title, Stemming the Superbug Tide Just A Few Dollars More, includes a map and two sets of graph with AMR trends by countries. On another page, Trends in AMR prevalence rates 2005-2030, users can select up to eight specific bacteria resistance rates, such as Penicillin-resistant S. Pneumoniae prevalence rates, along with any country to create interactive charts of present and projected rates. The data does not appear to be accessible, but the first article contains contact information at the bottom that might help in getting the data in these reports. Previous How do you tell a story with data and maps – Beto vs Cruz? Next Happy Thanksgiving from Sustainabilitymath!